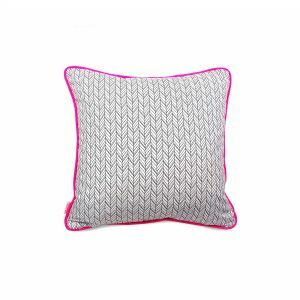 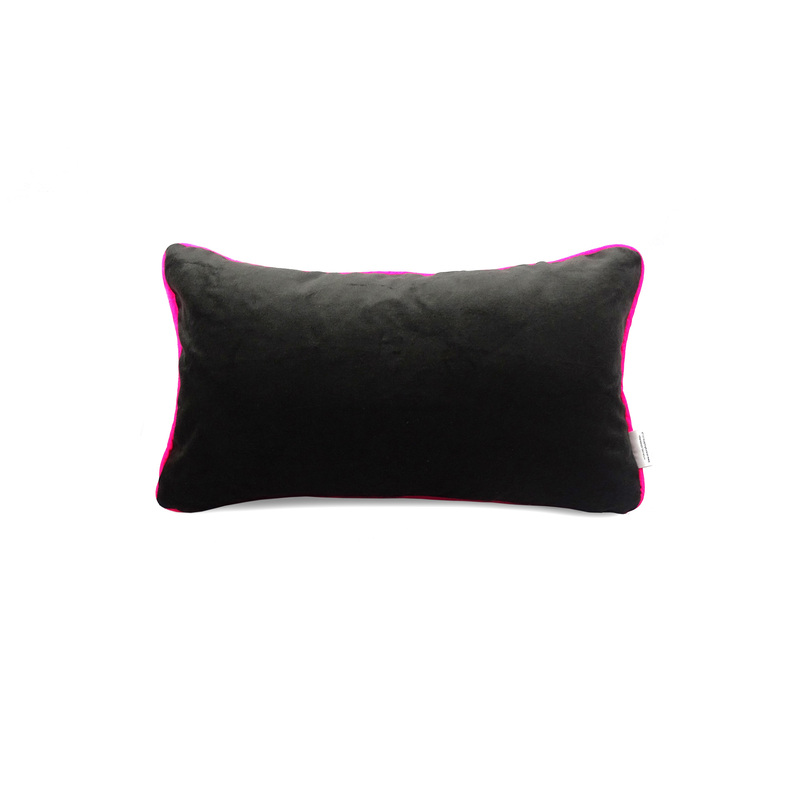 Bold and edgy black and white cushion cover with neon pink piping. 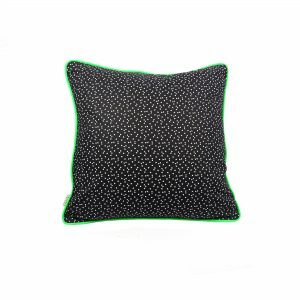 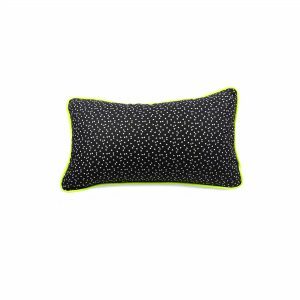 Add some excitement to your room with this fun rectangle cushion cover. 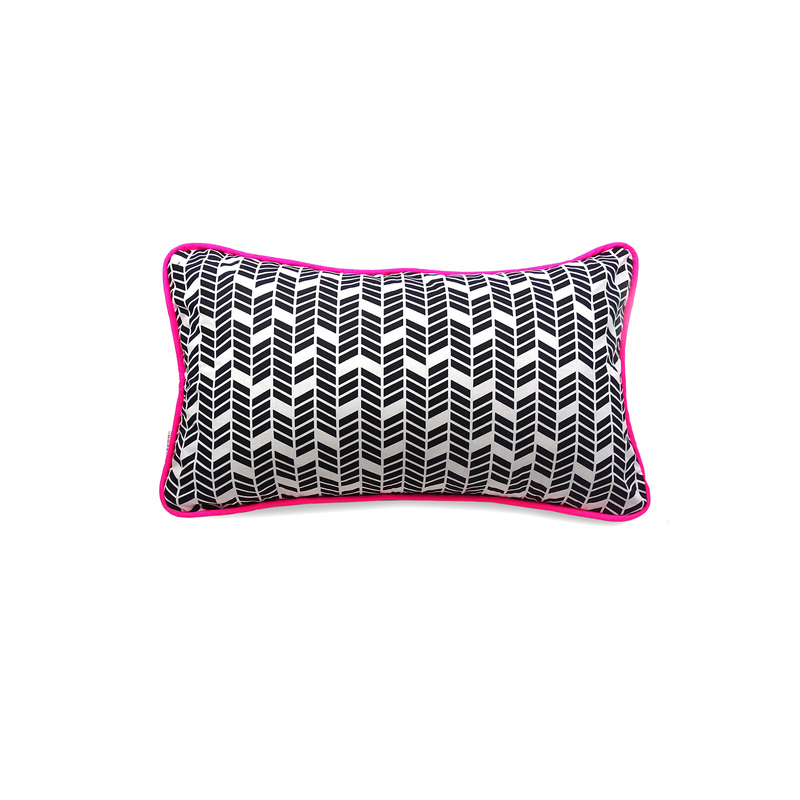 This bright and bold geometric print cushion cover with black velvet back and neon pink piping will fit a 50x30cm cushion pad. 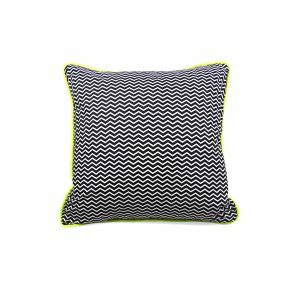 Geometric prints are increasing popular and this vibrant cushion cover will to add the wow factor and will be a perfect addition to any room.